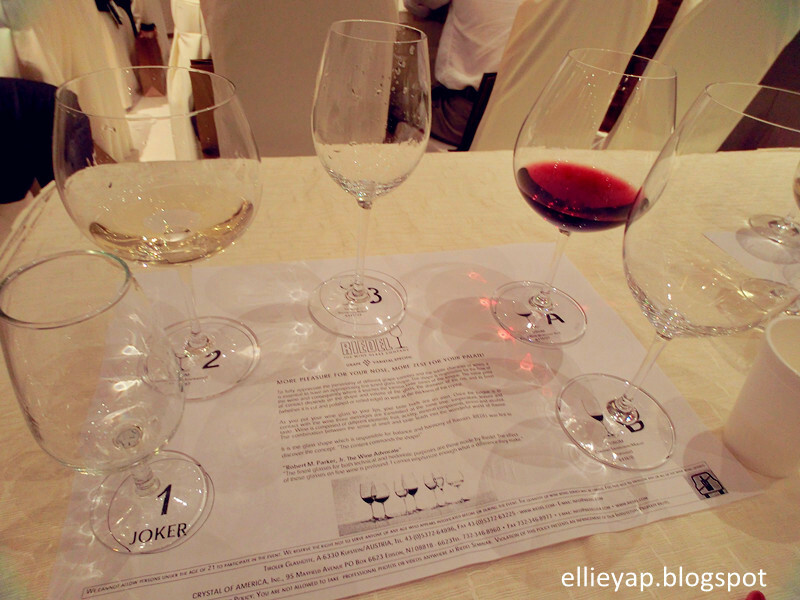 Amelie's Blog : Find the best glass shape for your wine! Find the best glass shape for your wine! RIEDEL has threw a Glass Tasting event on 16th of May. 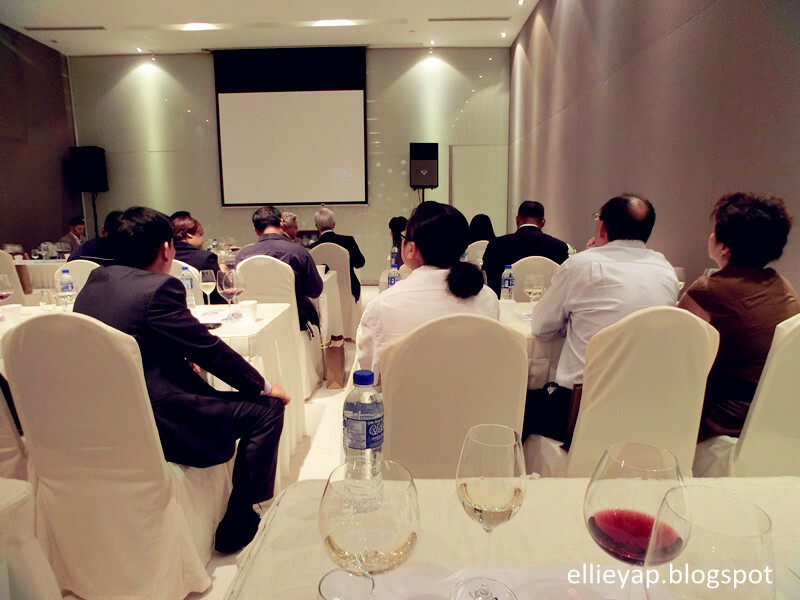 About 25 of wine-lovers shared a great moment on glass tasting at The Seventh Heaven, Pavilion! Instead of a WINE tasting event, how to taste a glass?? There's so many wine glass selling in the market. 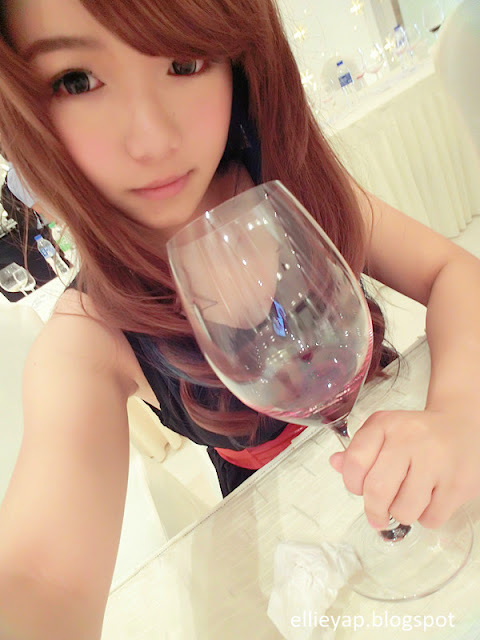 But, why is it every wine glass are vary in shape, diameter of base and size? Have you ever think of it? And, is there one glass for all my wines? At RIEDEL, the content commands shape! 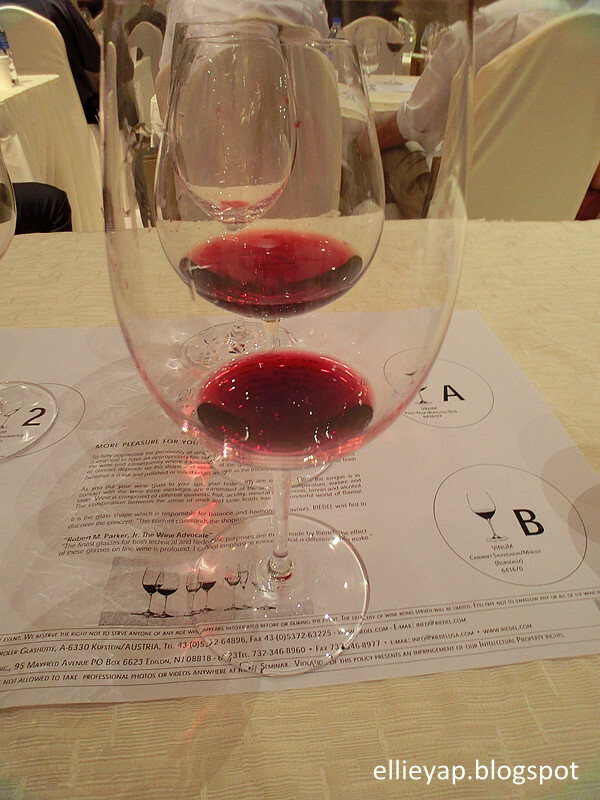 A wine will display a completely different characteristics and experiences when served in different glasses. But, do you know why shape of wine glass matters? According to Riedel, there are 4 sensations in wine and grape varietal specific stemware are responsible to translate and deliver the "mes­sage" of wine to the human senses. 1. Bouquet: Grape varietal specific stemware delivers the quality and intensity of the wine's aroma. 2. Textura: Grape varietal specific stemware highlights the exciting and diverse styles of "mouthfeel" in wine (watery, creamy, silky, velvety). 3. Flavor: Grape varietal specific stemware creates a ba­lanced interaction between the fruit, minerality, acidity and bitter components of a wine. 4. Finish: Grape varietal specific stemware offers a pleasant, seamless, harmonious, and long lasting aftertaste. 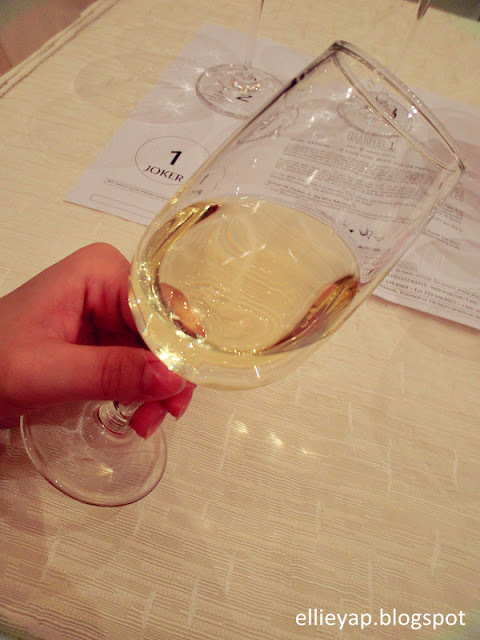 Instead knowing the proper manner on dining table, for example the way to hold a wine glass, I am so glad to attend this event as it really benefits me a lot! 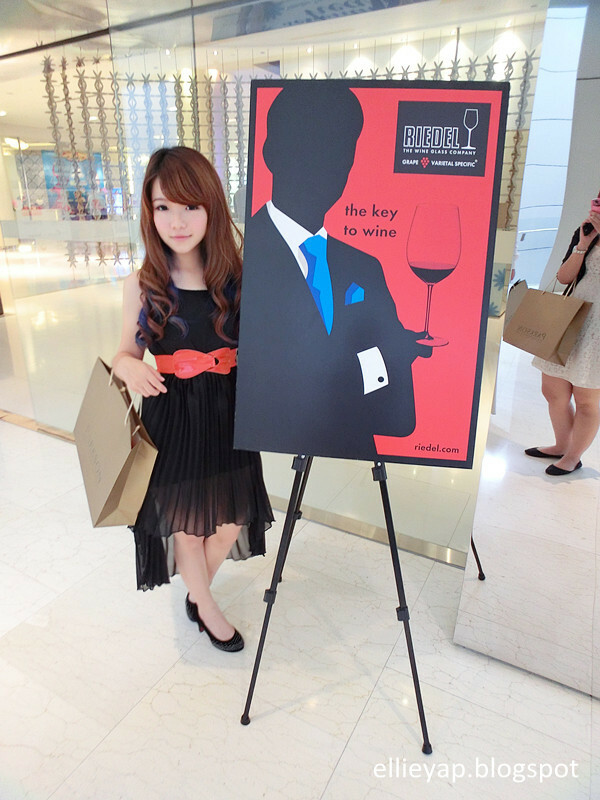 I got to know more about the decanters and the shape of wine glass matters a lot in wine enjoyment! Try it with RIEDEL glass, you will find out what makes the wine different. 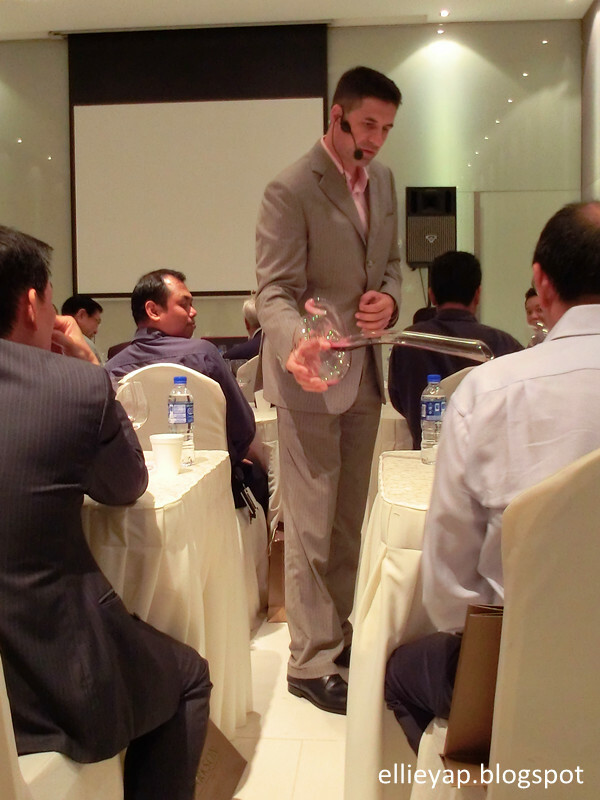 Besides wine glass, there's also decanters to enhance our wine experience! 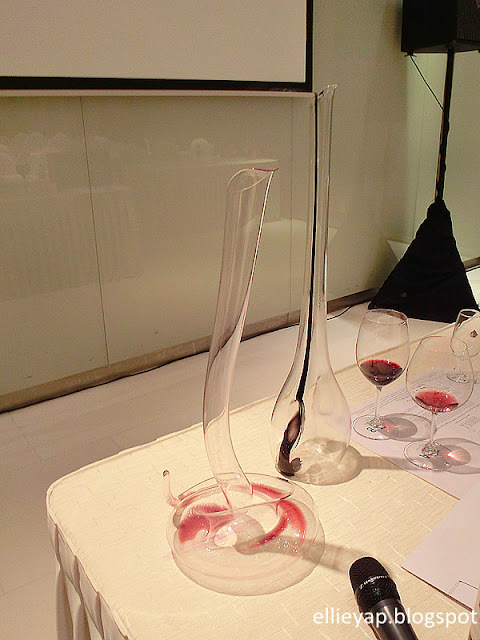 Throughout the history of wine, decanters play a significant role in wine serving! Not to talk much about the decanter, show you guys some photos here! A decanter is a vessel used to hold the decantation of wine which may contain sediment. Decanting diminishes the amount of carbox dioxide through oxygenation and mature the wine. Decanted wine expresses higher level of fruitiness and tends to integrate and smooth out tannins, open up aromas and flavors. 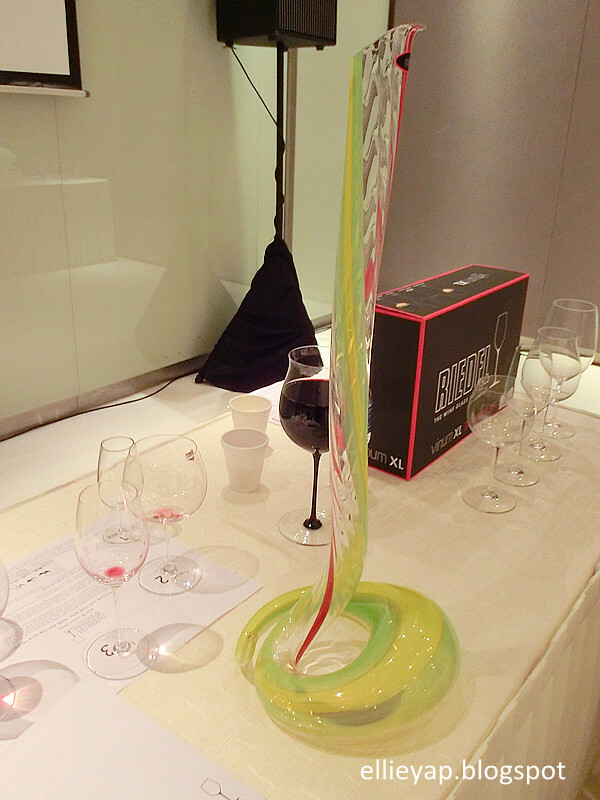 A limited edition decanter which have only 2 in Malaysia sold out at about RM3000 during the event! "A grape variatal specific RIEDEL glass is a wine tool 'the key to wine' and is designed to unlock the most elusive characteristics of a wine"
A different wine glass affects our total wine enjoyment. 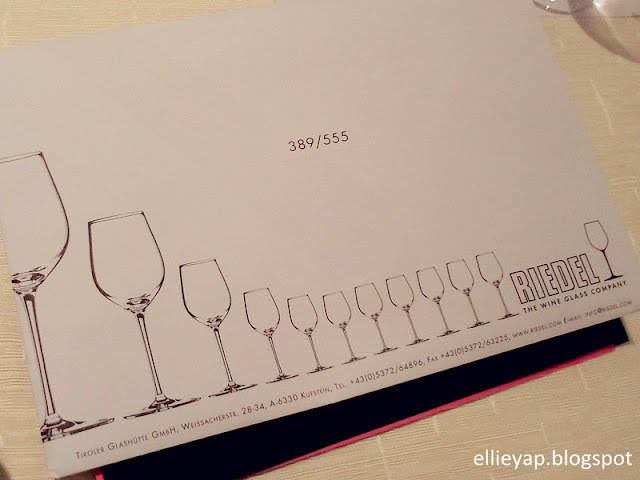 So, find the right RIEDEL glass for your wine! For more about RIEDEL, check here. Plan a Theme Party with Party Hat! Invitation to Butterfly Project's Spa Party! What I up to in April?